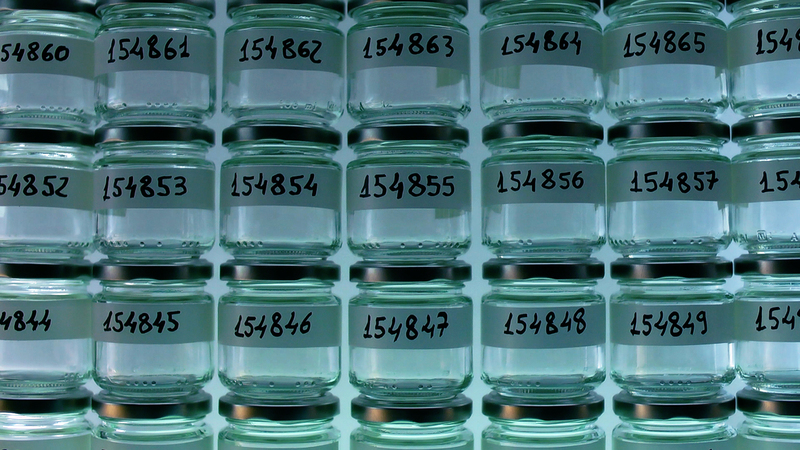 TEASER – Anthropometry 154855 focuses on the process of depersonalisation that a subject undergoes when he or she is imprisoned in the taxonomic mechanism of bureaucracy. The title, that clearly recalls the anthropometry through which Yves Klein established the canon of the human proportions, immediately underlines its specific identity by adding a number to it. 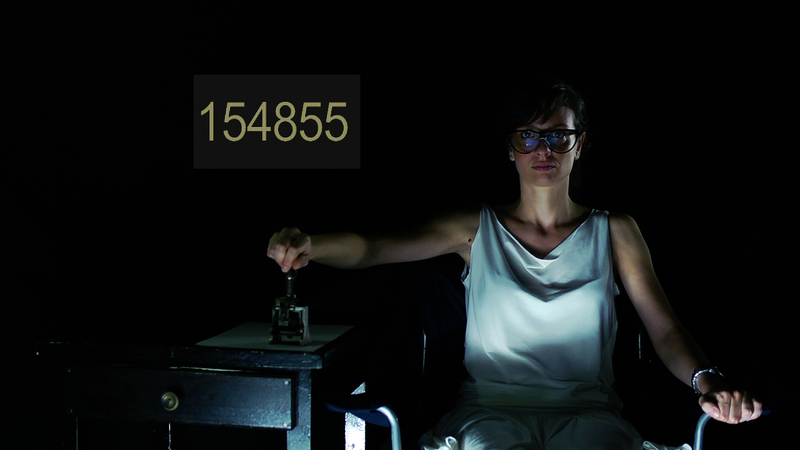 154855 is a matriculation number: it is in fact the number which the director gave to the protagonist of his movie, a man whose anthropometric parameters have been catalogued throughout his life up until the archiving of his last breath. 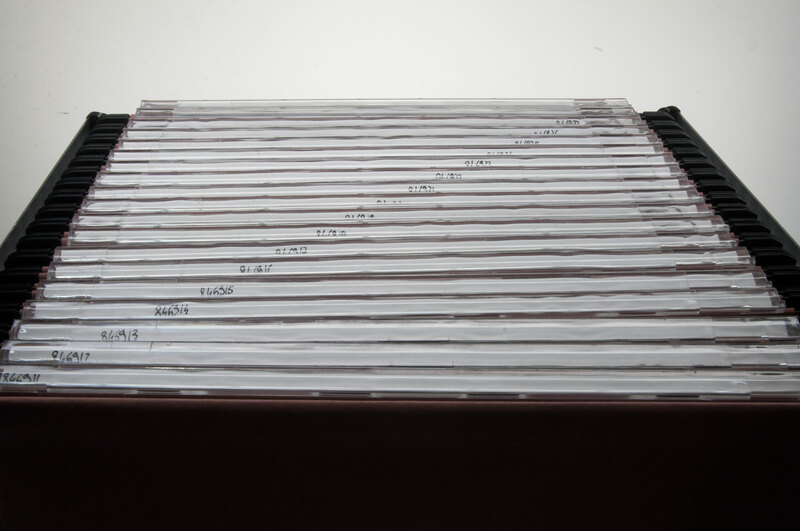 The intuition this work is based on is the image of the measuring of the human body as an allusion to the classification procedures in the field of Nazi eugenics. 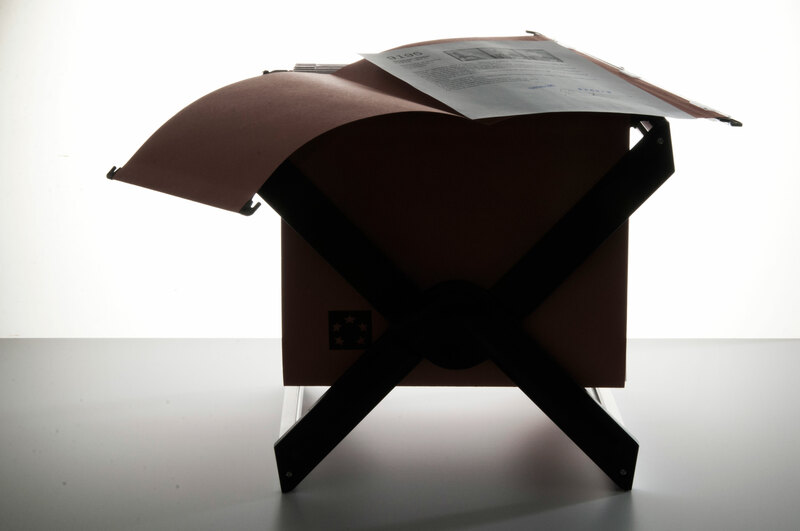 This image is the summary of a long reflection and of a long research in which the tales of the victims of political persecutions, the knowledge of the Nazi anthropometry and the study of the interrogation techniques manuals, which were declassified during the Nineties, merge. In the manuals there are precise directions on torture but there are no cruel scenes or brutal descriptions. Actually, what is commonly considered abominable, is the simple result of a bureaucratic and aseptic procedure. Everything is reduced to this: pain and death are only procedures. 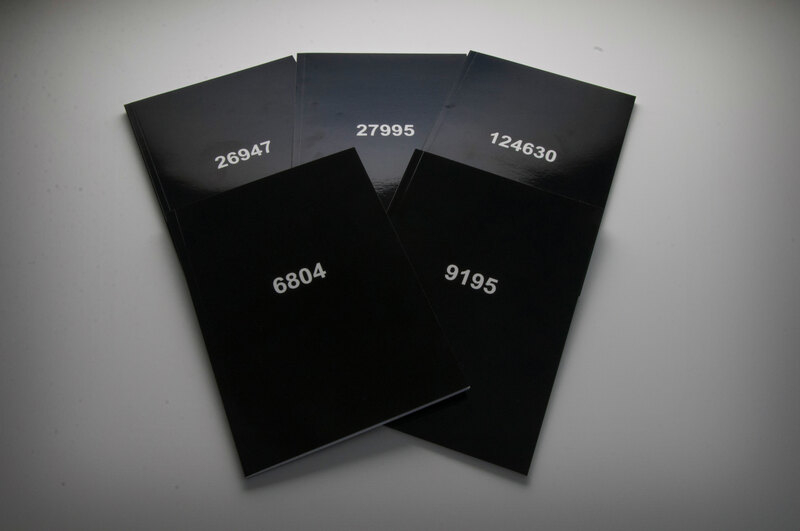 The discipline of classification, when applied to a system of social organisation, becomes an instrument of discrimination and annihilation up to the point that a man is transformed in simple numerical series. 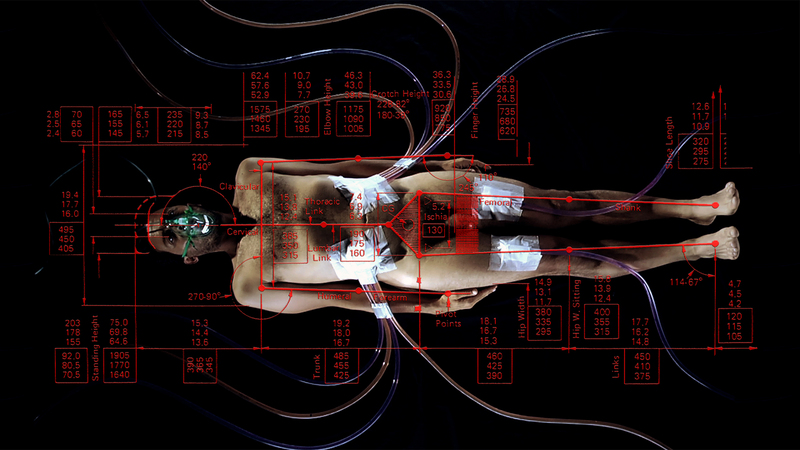 The movie displays the progressive dispossession of his identity through the collection of his anthropometric measures, of his fluids and eventually of his last breath, which is then regularly catalogued and archived. During his trial, Eichmann said that he would not have felt at ease if he had refused to do, with zeal and chronometric precision, what he had been ordered. 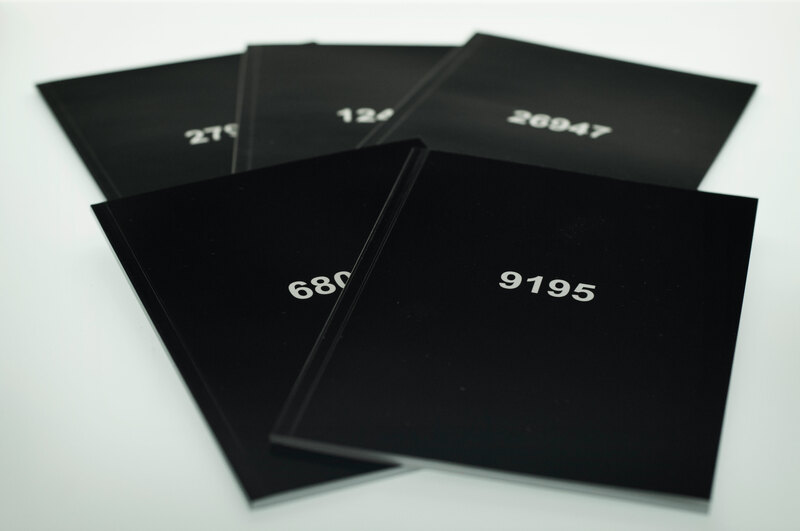 The artist’s books contain an image of the person deported, the title is the number assigned at the camp entrance and the final page are a number imprinted with an ink stamp that shows the location of the folder detectable in a physical file located installation in the gallery and in a digital file online (http://www.anthropometry.it/ under section File scrolling the drop-down menu). 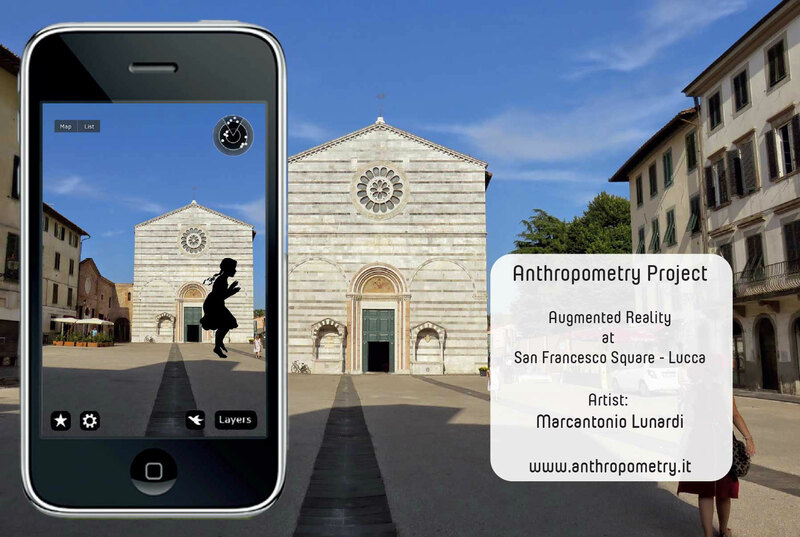 Augmented reality (AR) is a live direct or indirect view of a physical, real-world environment whose elements are augmented (or supplemented) by computer-generated sensory input such as sound, video, graphics or GPS data. It is related to a more general concept called mediated reality, in which a view of reality is modified (possibly even diminished rather than augmented) by a computer. As a result, the technology functions by enhancing one’s current perception of reality. By contrast, virtual reality replaces the real world with a simulated one. 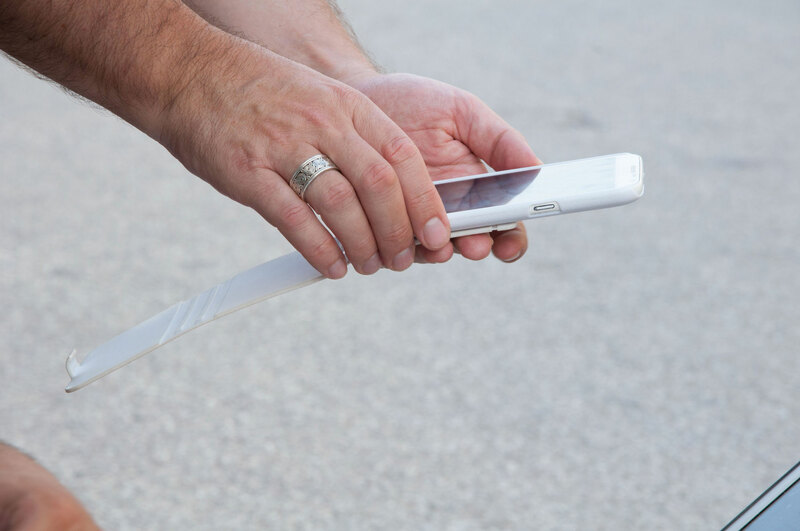 Augmentation is conventionally in real-time and in semantic context with environmental elements, such as sports scores on TV during a match. With the help of advanced AR technology (e.g. addingcomputer vision and object recognition) the information about the surrounding real world of the user becomes interactive and digitally manipulable. 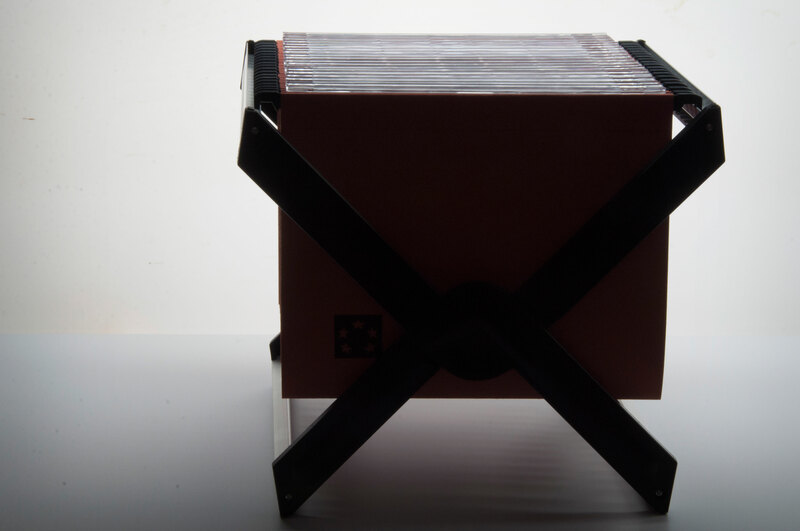 Artificial information about the environment and its objects can be overlaid on the real world. 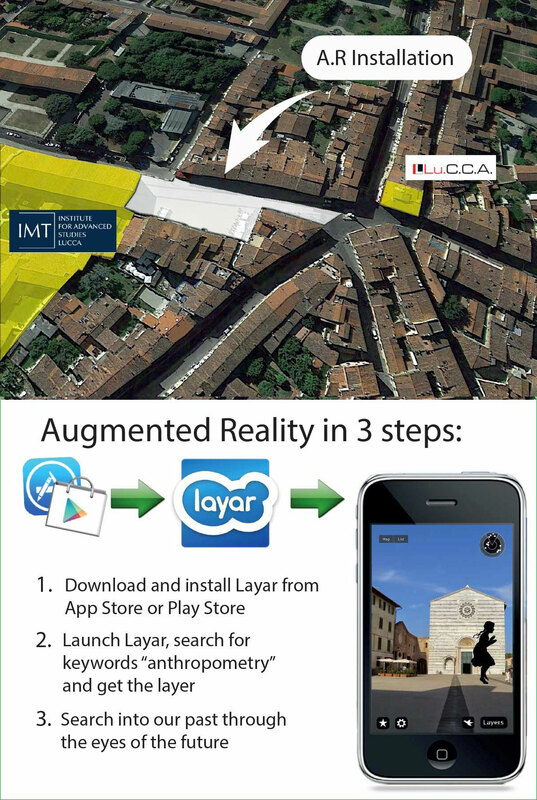 The intervention in augmented reality has been created in collaboration with his colleague and friend Guido Segni and the technical and logistical support of Jonathan Quintini. 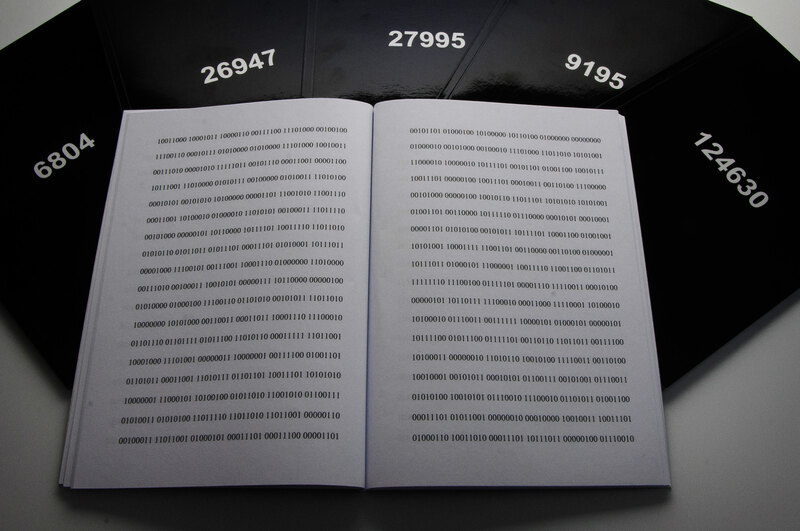 The project depersonalization in this case uses the particular size of the digital flow continuously used for books the size of installation permanent and crossed the augmented reality. An immaterial dimension that is placed in physical places crossed by people who unknowingly are wrapped by the flow of the story but do not perceive it, and above all do not see it as in dimension thrust of depersonalization and the cancellation of individuality. 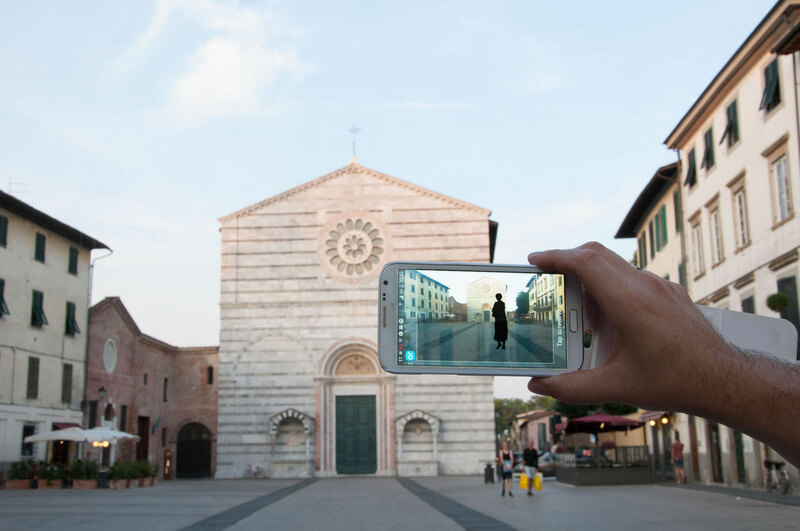 Piazza San Francesco and the entrance to the technology hub of Lucca are the places chosen to place actually increased the silhouettes of five people covered by the project. Piazza San Francesco in Lucca is a place that with the passing of time has become a popular neighborhood place for reflection and artistic culture thanks to the restoration work carried out by the Fondazione Cassa di Risparmio di Lucca and by the two institutions that face: the Faculty Economics and Lu.CCA, contemporary art center of the most restless of today’s Tuscan landscape. Visitors are also helped by a postcard widely distributed in the city and also from the ticket office Lu.CCA to have with them all the information for viewing on their phones and tablets levels of augmented reality.